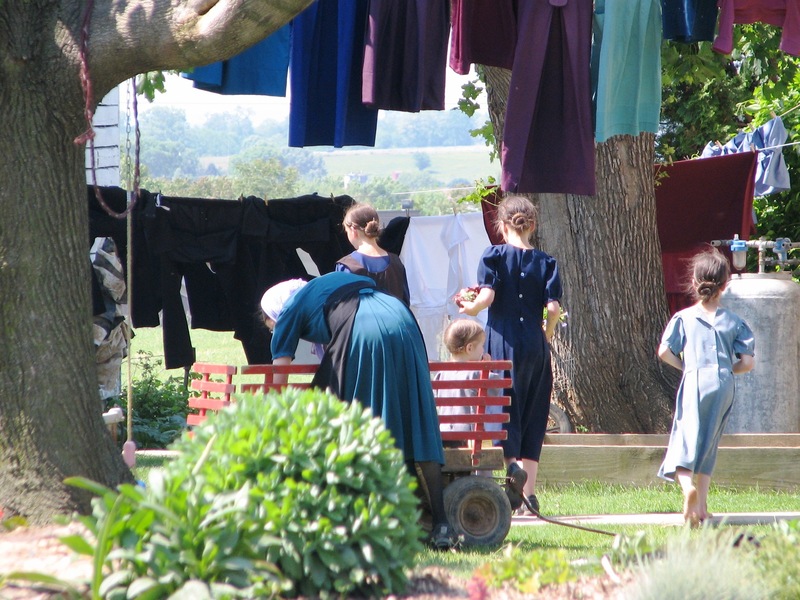 We recently took a daytrip to Amish country near Lancaster, PA. It’s a great time of year to observe a friendly, humble people who resist the temptations of a modern life. They bear it well, but living in a fishbowl where the English “observe them” as anomalies of society, has to be somewhat nerve wracking. Shunning electricity and other modern conveniences, the Amish have carved a unique niche in a country gone amok with technological advances. When I think of the possibility for catastrophic loss of today’s modern life, one has to wonder if the Amish simplicity will survive. Where most of us gather food from sterilized packages in gleaming stores, ride around in motor vehicles, wear clothes made in a third-world sweatshop, and entertain ourselves with endless media options, our modern selves are anything but simple. Turn off the switch, chaos would undoubtedly ensue. The popular TV show, Revolution, plays on this theme quite well. 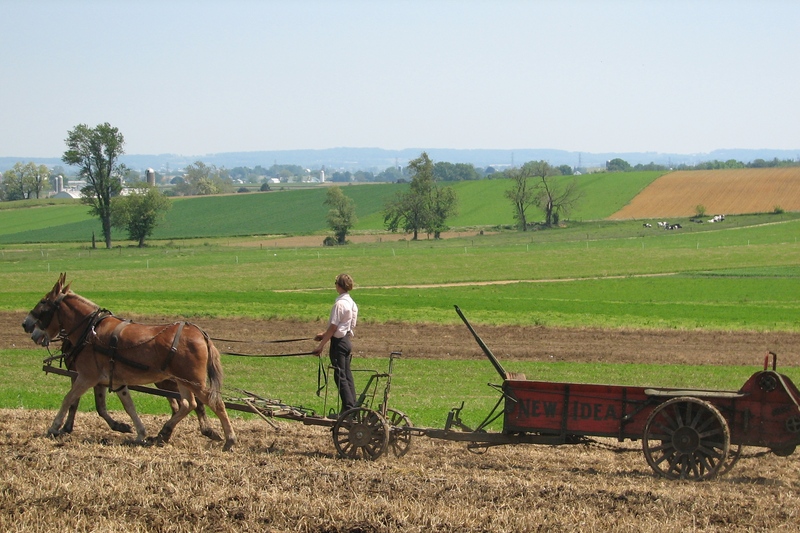 Self sufficiency has been the Amish secret since they emigrated in the early eighteenth century from Germany, growing their own food, making their own clothes, building their own structures, and living without the benefits of modern tools. They place family and neighbors high on the list of their priorities. It stems from a deeply rooted religious conviction. Families are large by design, patterned after the ancient need to have enough hands to work the farm, and look after the elderly when age betrays their ability to contribute. The Amish consider themselves as one big extended family. Something goes wrong, the community rallies to the cause without a need to ask for it. It used to be that way for all of us at one time. Families and friends looked out for each other. It was all we had. Today, we have become an isolated society of “me’s”, where the individual takes precedence. Where older societies coached cooperation and sense of community cohesion, today’s motivational gurus push the individual to embrace their inner self … be all you can be. The fabric of traditional family is considered to be faded and ripped. I am amazed at how many people I know who claim to have not spoken to a brother or sister in decades. Many of us don’t know the neighbor next door. So what do think will happen to the Amish way of life if all of a sudden, the power went out, communication links dropped, and the grocery store closed down? Chaos? Fear? Hunger? Fiscal and Government Collapse.? Violence? Will the basic tiers of Maslow’s Hierarchy of Needs crumble beneath our feet? (Check out Maslow and the Apocalypse, 11-28-2012). Some have expressed hope that people will rally together, like the Amish, when things get tough. We have plenty of examples of how brotherly we become when calamities strike, but our record with prolonged, unending hardship is less encouraging. The roots of humankind are historically knotted with predation against the weak. It can come in the form of gangs, renegade governments, or just plain desperation. Initially, I fear the placid world of the Amish might experience considerable injustice from those who are used to taking, versus making. 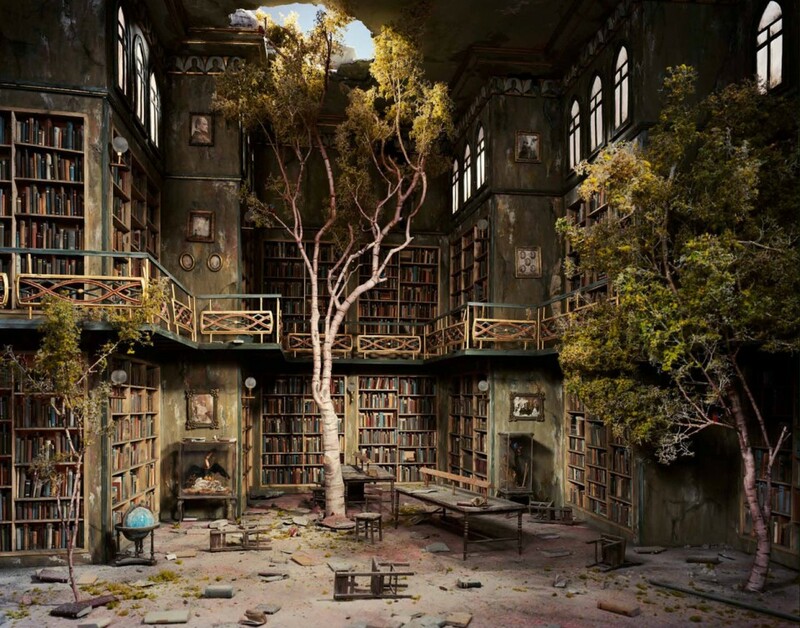 No shortage of fictional stories out there by authors who imagine such events. Not as gritty as some books, Susan Beth Pfeffer wrote a compelling tale from a teen girl’s perspective in her book, “Life as We Knew It,” which looks at the slow decline of modern life after power is lost. In my latest dystopian tale, an authoritarian government revamps the process of food inventory and a compulsory return to backyard farming. Got to get that first floor of Maslow’s Needs rebuilt in a hurry. Simplicity is the best answer when the conveniences of modern life have been taken away, but it will not come easy to those of us who are used to hot water on demand and drive-through meals. We will need a strong order to keep the chaos monster at bay while we relearn how to live as the Amish do. If we’re lucky, maybe they’ll help reeducate us English to how it’s done. I like this article.learning many from it.Thank you!! !